The flags were probably displayed only during the hours of performance; and it should seem from one of the old comedies that they were taken down in Lent, in which time, during the early part of King James's reign, plays were not allowed to be represented, though at a subsequent period this prohibition was dispensed with by paying a fee to the Master of the Revels. The impact of Globe Theatre closure must have been catastrophic for the actors and the the threat of catching the Bubonic Plague was terrifying. There would have been no money coming into the theatre companies. It would not have been certain when it would be safe for the Globe Theatre to re-open. 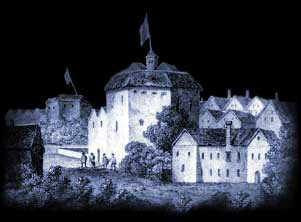 Most of the Actors, including William Shakespeare, fled to the country during the outbreaks of the Bubonic plague. Interesting Facts and information about the Globe Theatre Closed. Additional details, facts and information about the Globe Theatre can be accessed via the Globe Theatre Sitemap.